A Plumber Does A Ventilation Or Heating System Check Using A Gadget. 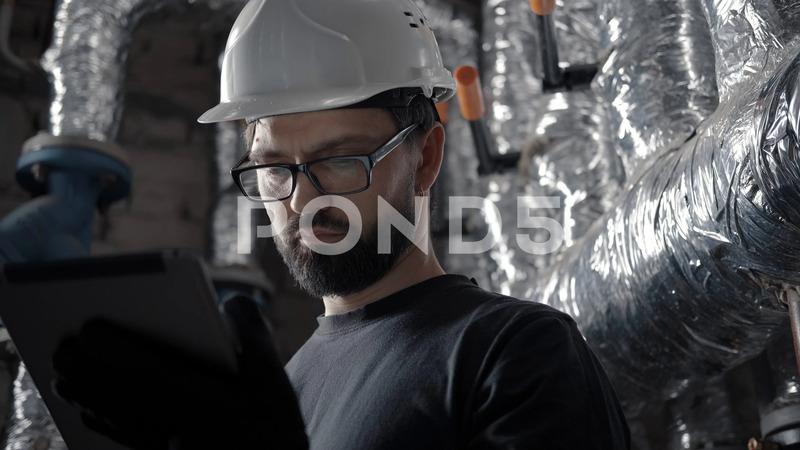 Description: Technician (engineer) in a helmet works in a boiler room with a tablet. On the background of hot pipes in the corrugation. A plumber does a ventilation or heating system check using a gadget.